Mountain cheese is a much-celebrated, refined food product produced according to ancient traditional techniques. It is made from milk of the highest quality from cows raised in wholesome Alpine pastures. Winter-Sports.com was interested in finding out more about Alpine cheeses, and would like to offer you this light-hearted but informative round-up on the many specialities which exist, as well as a few tips on how to ascertain the authenticity and quality of the products. In a decree published in 2007, the word "cheese" is defined as "a fermented dairy product obtained through the coagulation of cream, milk or a mixture of the two, followed by draining." Averaging 24 kg of cheese per inhabitant per annum, the French are the world's largest consumers of cheese (after the Greeks, who average 25.4 kg per annum!). In 2004, France and Germany were the world's largest exporters of cheese! Current trends show that consumers are growing increasingly suspicious of industrially produced products, and would welcome a return to more authentic products produced by local specialist cheese-makers. Unfortunately, the official certification and quality labels are currently neither sufficiently visible or well-known. Which is why Winter-Sports.com would like to take this opportunity to present a few tips on the subject of cheese-related quality labels and on the factors which determine the quality of a selection of cheeses from the French, Swiss and Italian Alps. Today, with a view to harmonising quality recognition across Europe, the European Union has implemented the P.D.O. label (Protected Designation of Origin), which replaces the French equivalent known as the A.O.C. (Appellation d'origine contrôlée). Not only is this label a guarantee of quality for the consumer, but it also helps to enhance the image of the products which carry it. All P.D.O cheeses carry a P.D.O. label on their packaging. More than 180 European cheeses, creams and butters carry the P.D.O. label, including 49 French products. The P.D.O. label, despite being a real guarantee of quality, still suffers from a lack of visibility: only 13% of the cheeses consumed in France are P.D.O. cheeses. Reblochon cheese is the fruit of an ingenious strategy on the part of farmers to pay less tax. It owes its name to the 16th-century Savoyard term, "re-blocher", which means "to milk a second time". The practice, however, is thought to date back to the 13th century. According to the tradition, local farmers milked their cows a first time for the owner (generally, abbeys), and then a second time in the evening for their own use. In so doing, the farmers were able to avoid paying too heavy a tax, which was calculated on the amount of milk they produced. The milk from the second milking, although not very abundant, is rich in cream. As such, it has a higher fat content and is of a higher quality. Reblochon is the third most common PDO cheese, and has carried the PDO label since 1958. In 2006 Reblochon producers began speaking out against what food retails sell as "Tartiflette cheese" (some 4,000 tonnes each year). One of the main ingredients in Tartiflette is Roblochon, but the so-called "Tartiflette cheese" in not Roblochon. It is a cheese which is specially produced to that it melts easily, and despite its mediocre quality, it is only slightly less expensive than real Roblochon. Prefer "Farm-produced Reblochon", or even a so-called “cooperative” variety, but avoid "Diary-produced Reblochon"
"Reblochon"... invariably associated with "Tartiflette"! Tartiflette is a modern dish inspired by a traditional recipe known as "Pela". In the Savoyard dialect the term "pela" refers to the long-handled pan traditionally used to the dish. The word "Tartiflette" itself comes from the Savoyard dialect term for "potato: "tartiflâ". The recipe as it exists today was a formulated by the Roblochon Inter-professional Syndicate in the 1980s to promote the sale of the cheese. Today there are several variants of the recipe, essentially due to differences in opinion as to the use of onions. Average price: from 9 to 15 euros per kilogramme, depending on the length of aging. Beaufort is a cheese from the Savoie region of France, and belongs to the Gruyère family of cheeses. On account of its particularly flavoursome character (with slight nutty undertones) and its high quality, it is generally considered as being the "Prince of Gruyères". However, unlike most cooked pressed cheeses, Beaufort has no "eyes" or holes. Beaufort's typically shaped concave "heel" is due to its traditional method of production: after the milk is curdled in a copper cauldron, the cheese is moulded in a linen cheese-cloth and placed in a round beechwood frame. A Beaufort wheel weighs between 20 and 70 kilograms. "Summer" Beaufort is tastier than "winter" Beaufort, which is often used as an ingredient in fondues. Some "summer" Beauforts carry the denomination "chalet d'alpage". These cheeses are produced immediately after milking, in high-altitude mountain chalets (above 1500 metres), using traditional methods. They are yellow in colour, rich in fat and full in flavour. The name "Abondance" can refer to a village, a commune, an Alpine valley, a breed of cattle, and, last but not least... to a cheese produced in the commune of Abondance in the Chablais region of Haute-Savoie. It is a semi-cooked pressed cheese, with an aroma which is similar to that of Beaufort, but somewhat less pronounced. Like Beaufort, it has the same concave shape, due to the process of moulding. Once moulded, it is left in an aging cellar for at least three months, standing on planks of spruce, which contribute to regulating the ambient humidity. At the time, the monks at the Abondance monastery had begun extensive works to clear the valley for farming purposes and crop production. It was in these richly flowered, aromatic pastures of the Abondance valley that the methods of production of Abondance cheese were first developed. The cheese was highly regarded at the royal court of Savoie, as well as in Versailles, and Louis XIV himself is said to have been especially fond of it! The riper the cheese, the more pronounced and characteristic the aroma. Abondance comes in two forms: Farm-produced Abondance, which carries an oval blue casein seal, or Dairy-produced Abondance, which carries a square blue casein seal. Farm-produced Abondance is made on farms in the mountain pastures of the Alps, while Dairy-produced Abondance is produced in cheese dairies or cooperatives. Bleu de Sassenage, also known as "bleu de Vercors-Sassenage", is a Dauphinois cheese. Dauphiné was the name of a former French province which today covers the three departments of Drôme, Isère and Hautes-Alpes. Its unrestricted production was authorized in 1338 by Baron Albert de Sassenage.In the past, it was made from cow's milk, goat's milk, sheep's milk, or a mixture of the three, which was known to produce an even more subtle flavour. It obtained the P.D.O. label in 1998, which guarantees that it is made from milk from the pastures of the Vercors National Park. Originating in the valleys of the Maurienne and Tarentaise regions, Tomme de Savoie was first produced by local farmers as a way of using the cream-free milk left over after the production of butter. The name "Tomme de Savoie" comes from the Savoyard dialect term, "toma", which means "cheese made in Alpine mountain pastures". The inhabitants of the Savoie region were especially fond of Tomme, and would generally eat it with coffee for their afternoon "mérande" ("tea" in the local dialect). Tomme de Savoie obtained the "Protected Designation of Origin" label in 1996. Tome des Bauges is considered to be the best of the Tommes de Savoie cheeses, and has been a P.D.O. cheese since 2002. Tome des Bauges in the only Tomme whose name is spelt with one "m" instead of two! It is ivory-yellow in colour, with small holes. Tome des Bauges has a rough, dark grey rind on which is affixed a casein seal guaranteeing its origin. Dairy-produced Tome carry a red seal, while the farm-produced cheeses carry a green seal. This small, cylindrically shaped cheese is made from raw, full-fat milk. It is unpressed, cooked and is spotted/mottled in appearance (as the word "persillé" suggests). Today it has all but disappeared. Persillé de la Clusaz, produced a just few kilometres from its original place of production in the Aravis valley, possesses similar qualities. Its rind is hard and grey, with white and orangish mould. It should be eaten as ripe as possible. It is generally eaten at Christmas. According to tradition, Persillé de Tignes already existed at the time of Charlemagne, and was served at his table. In 1875, the recipe called for 50% goat's milk, 25% sheep's milk and 25% cream of cow's milk. It is also know as Persillé de Haute Tarentaise. Today, Persillé de Tignes is mainly produced in Sainte Foy Tarentaise, and the goat's milk is sometimes mixed with cow's or sheep's milk. It is a rare but first-rate, farm-produced cheese with a rustic flavour. Contrary to popular belief, Emmental is a Swiss cheese! 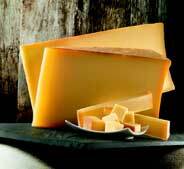 Emmental originally comes from the Emme valley, in the east of the canton of Berne in Switzerland. Today, it is produced in several European countries, including France. Some 460,000 metric tons of Emmental are produced in Europe each year. For a long time, Emmental was improperly called "Gruyère" in France. Emmental and Gruyère are both cooked, pressed cheeses. The medium-hard Emmental is characterized by the presence of regularly dispersed, walnut-sized holes, poetically referred to as "eyes". In 1981, French Emmental producers got together and signed an agreement resulting in the establishment of the red, Emmental Grand Cru quality label, reserved exclusively for cheeses made from raw milk and aged in the east of France. The "Savoie" label indicates that the Emmental was produced in Savoie or Haute-Savoie, and aged for at least 75 days. Finally, in response to the increasing development of low-cost substitutes, Emmental producers have been moving to introduce the requirement for a "certificate of conformity" guaranteeing the origin and quality of their aged French Emmental. Origin of the word, "Gruyère"
Gruyère takes its name from the Gruyère district in the canton of Fribourg and from the village of Gruyères in Switzerland, both of which take their name from the French word "gruyer". At the time of Charlemagne, a "gruyer" was an officer charged with the task of levying taxes for the Ministry of Finances. In 1762, the French Academy added the word "gruyère" to its dictionary, specifying that it was a cheese from the Gruyère region. Is Gruyère a French or Swiss cheese? In 1951, the international convention on cheese names in Stresa recognized the word "gruyère" as a Franco-Swiss attribute! It was in the wake of that conference that the appellation “Gruyère family of cheeses"--to which Beaufort and Abondance belong--started being used. Cheese makers on both sides of the Franco-Swiss border have been producing Gruyère for centuries. But but not without controversy as to its origin as Gruyère is also produced on the French side, in the Jura mountains to the north of the Alps. The Stresa conference settled the matter once and for all, to the satisfaction of both parties! Gruyère with no holes and Gruyère with small holes! Today a distinction is made between Swiss Gruyère, which was granted SWISS A.O.C. status in 2001--and has no holes, and French Gruyère, which received the precious P.D.O. label in 2007, and which has holes which vary from pea-sized to cherry-sized. Swiss A.O.C. Gruyère was the leading Swiss A.O.C. cheese in 2009 in terms of volume of production. In 2008, Switzerland produced some 28,000 tons of Gruyère, while France produced 1,600 tons. - Young Gruyère (aged for 4 - 6 months): Jura Chardonnays, "vins de pays" from Charcennes, Savoie wines. It also goes well with chilled pale beer or brut cider. - Riper Gruyères (aged for 6 - 12 months): Jura whites, Trousseau du Jura, Mondeuse de Savoie, Roussette de Savoie, Pinot de Bourgogne. It can also be enjoyed with red or dark beers. Average price of Swiss Gruyère: from 15 to 27 euros per kilogramme, depending on the length of aging. Appenzeller or Appenzell comes from the former Swiss canton of Appenzell. Its flavour is pronounced yet refined. In 1069, the Saint Gallen monastery established a settlement or "Abbacella" (Abtzelle) there, from which the name "Appenzell" is derived. The settlement included an abbatial farm with cellars and granaries where local farmers were required to bring their tithes. In 1513, the still undivided Appenzell region joined the Swiss Confederation. Today the canton is divided into 2 "half cantons". What exactly does Appenzeller mean? Like the designation, "Abondance", "Appenzeller" can refer to several different things. It can refer to the former canton of the same name, to the village of Appenzell (5,000 inhabitants), or to the district. But it can also refer to a breed of chicken, a breed of goat and a breed of dog! Appenzell is produced from a mixture of milk from the morning and evening milkings. Its distinctive taste derives from the herbal brine--called "Sulz"--in which the cheese is repeatedly washed. The ingredients of the brine are a secret, handed down from one generation to the next. The secret of this mixture of white wine, herbs, roots, leaves, seeds and bark is known to only two people, who possess the key to the safe where the recipe is kept. From "Classic" to "Extra": an Appenzeller to suit all tastes! The Appenzeller production process received ISO 9001 certification in 1995, attesting to its conformity to quality standards. Appenzeller producers distinguish 3 levels of aging. The first reference to "Tête de Moine" dates back to 1790. The term, which literally means "Monk's head" was used to make fun of monks who were chased from their monastery in the Swiss Jura. Tête de Moine cheese, which is also known as "Bellelay cheese", is eaten in an unusual way: it is scraped with a knife as if one were shaving the head of a monk. Twenty years ago an ingenious device was invented for scraping AOC Tête de Moine cheese, producing beautifully formed rosettes, know as "girolles". Scraping modifies the structure of the cheese. Its typical flavour is most pronounced at the surface of the cheese in contact with the air, and can be appreciated right out of the refrigerator. The cheese first should be cut horizontally into 2 pieces. Wrap one of the pieces in plastic film and place it in the refrigerator. Scraping the exposed surface of the cheese with the scraper forms pretty rosettes which add a decorative touch to its presentation. The rosettes can be sprinkled with cumin to enhance the flavour of the cheese and facilitate digestion. Prior to the invention of the Girolle, Tête de Moine cheese was scraped with a simple knife. Like his father and grand-father before him, Nicolas Crevoisier, a precision mechanic from the Swiss Jura canton, used to scrape the cheese with a knife. The traditional knife technique required some degree of dexterity, and M. Crevoisier wanted to replace it with a more efficient and elegant system. After several unsuccessful attempts he finally invented the Girolle. The Girolle consists of a spindle to which a rotative blade is attached. The spindle is inserted through the centre of the cheese and the blade is used to scrape the cheese. Commercial production of the Girolle began in 1982. Since then, some 2.5 million units have been sold. Historically Tomme Vaudoise comes from the Joux valley in the canton of Vaud. It was first produced in the middle of the 12th century, in the Alpine chalets around Lake Joux. Today it is mostly produced in the canton of Geneva. Originally "bare" Tomme Vaudoise was eaten in its soft, oozing form. When transported outside its production zone it is "dressed" in a paper wrapping. The denomination, “Tomme”, is misleading as it is a creamy cheese. Its production time is short. After "moulding" (shaping), the Tomme is aged for 8 days on a grating. During the aging process it is turned over every 2 days. Ideally it should be eaten 21 days after production. 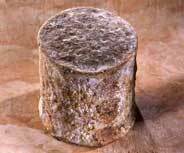 Tomme Vaudoise has a thin rind with a layer of white mould, and is creamy in consistency. It is made from pasteurised milk, typically about 100 g in weight, and sometimes flavoured with cumin or black pepper. It can be eaten either "raw" or pan fried. References to Sbrinz have been found dating back to as early as the second century! Sbrinz is considered to be Switzerland's oldest hard cheese. Writing in the second century, Pliny describes a delicious “caseus helveticus” which closely resembles toady's Sbrinz. Sixteenth-century Swiss traders travelling in Italy are known to have exchanged their Sbrinz wheels for rice, chestnuts and wine. Originally, Sbrinz was only made in the Brienz region, but its AOC production zone, established in 2002, encompasses several cantons in the Bernese Oberland. After shaping and pressing, Sbrinz wheels are immersed in a brine bath for 18 days. The brine acts as an antiseptic, regulates the water content of the cheese, and contributes to the development of the rind and cheese's flavour. The wheels, which weigh between 30 and 40 kilograms, are then air dried in a vertical position and aged for at least 16 months. Break it in to chunks, slice it with a cheese plane, or grate it... but never cut it! As a general rule, Sbrinz is best eaten after 20 to 36 months of aging. Do not attempt to cut it with a knife as it is extremely hard. Instead, break it into small pieces, or use a Sbrinz chisel or the tip of a knife to remove small chunks. It can also be sliced into fine portions known in French as “rebibes”. In Switzerland, however, Sbrinz is generally eaten in grated form. Unlike other pre-wrapped grated cheeses, which are generally aged for 3 to 5 months, grated Sbrinz is aged for 20 months. A Sbrinz chisel costs between 5 and 10 euros, and a Sbrinz cheese plane between 15 and 17 euros. As its name indicates, Vacherin fribourgeois comes from the canton of Fribourg. It has a slightly resinous smell and a tart, nutty flavour. Its fat content is relatively low (28%). The word “vacherin” derives from the Latin “vaccarinus”, which means “little cowherd”. It referred to the young assistant who helped the “vaccarius” (cowherd) in charge of milking and caring for the cows (“vacca”). The history of Vacherin is intimately linked to that of Gruyère, its illustrious cousin. In spring and autumn, when the amount of milk produced by cows was insufficient to make Gruyère wheels, producers made a smaller cheese. In the Middle Ages, Vacherin was a home-made cheese, produced only at 2 periods of the year. The beginning of the nineteenth century was a decisive turning point in the cheese's history: with the development of village cheese dairies and fresh-produce markets in the Alpine plains, which encouraged year-round production, Vacherin was able to established an identity as a cheese in its own right. References to Fontina dating back to the Middle Ages have been found in the Aosta valley in north-west Italy. In the thirteenth century, the cheese was served at the Dukes of Savoy's table. The name "Fontina" comes from the Franco-Provençal word, "valdôtain", which itself derives from noble-family and place names found in the Aosta valley. In 1996, Fontina receive P.D.O. status; its geographical area of production covers the Aosta valley autonomous region. Fontina is rich in living lactic-acid bacteria, phosphorus, vitamin A, and protein, but low in cholesterol, which makes it easy to digest well tolerated. Fontina is made from raw, full-fat milk, and is aged for 3 to 8 months. A Fontina wheel weighs between 10 and 12 kg. The cheese produced during the winter months, when cows are fed with fodder, is pale straw-yellow in colour. The summer cheese is a more intense yellow. It is a mild cheese and should melt in the mouth. It is often used as the main ingredient in Valdôtaine (Aosta Valley) fondue. The word “fromadzo” simply means "cheese" in the Aosta Valley Franco-Provençal dialect. Since ancient times, the inhabitant of the Aosta Valley have considered this cheese as a good complement to Fontina. 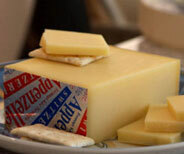 Fromadzo was made from the milk left over from Fontina production, and is the case with most low-fat cheeses, had the advantage of being able to be kept for long periods of time. Its high protein content was appreciated during periods of the year when other sources of protein were rare. Production specifications allow for different types of fromadzo depending on fat content and whether or not herbs are added. Thus, fromadzo can be either low-fat or half-fat, with fat content varying from 20 to 35% depending on the type. It is often flavoured with wild aromatic plants such as juniper berries, cumin or wild fennel. Some producers also add a small amount of goat's milk. Fromadzo is rather mild when fresh, but with it develops a more pronounced, slightly salty taste, sometimes with a peppery hint. It can be eaten with pasta, gnocchi, rice or pancakes, or of course in the famous Aosta Valley fondue. A 1000-year old cheese from north-eastern Italy! From as early as the year 1000 the Asiago Alpine plateau was a pasturing ground for sheep whose milk was used to produce a delicious cheese. Around 1500, as new production techniques emerged, sheep were eventually replaced by cows. Today Asiago is produced in four provinces in north-eastern Italy, i.e., Vicence, Trente, and part of the provinces of Treviso and Padua. Unique among Italian P.D.O. cheeses, Asiago comes in two forms. Fresh Asiago (“Asiago pressato”) is a soft, half-cooked cheese made from full-fat milk from the same milking. It is mild in flavour and whitish in colour. The "pressato" form is the most widespread form since it is better suited to the tastes of modern consumers. Aged Asiago (“Asigo allevo”) is made from the partially skimmed milk from two milkings. It is harder than the fresh form, straw-yellow in colour and has a more pronounced flavour. It is best appreciated by connoisseurs who like strong cheeses. Asiago is used in a wide variety of regional dishes. 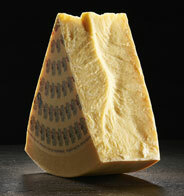 Unlike the pressato form, Asiago allevo can be grated and served with pasta, risotto and polenta. Made from milk from "tired" cows? Taleggio belongs to the “Stracchino” family of cheeses. The word "Stracchino" is thought to derive from the dialectal term “stacch” (tired), and is used to refer to these cheeses which were made at the end of the season from milk from tired cows after their long return from high-altitude pastures. Taleggio comes from a territory situated between the Piedmont, Lombardy and Veneto regions. 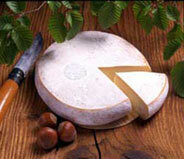 Taleggio is a typical table cheese which is best enjoyed at the end of a meal or as a main dish. It has a characteristically mild, slightly tart flavour with sharp undertones. It should be eaten at room temperature, and not cold. It is a useful ingredient in many dishes, including pizzas, omelette, risotto, and mixed salads. The Milanese are particularly fond of this cheese, which they often replaced with the harder Quartirolo when they are looking for a low-fat substitute. 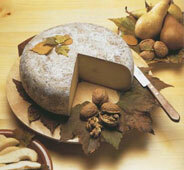 Montasio cheese derives its name from the Montasio mountain range. It was first produced by Benedictine monks in the thirteenth century, in the valleys of the Julian and Canic Alps in the Friuli region. At that time, it was made from sheep's milk. In the latter part of the seventeenth century, Montasio was mentioned in most of the commercial documents in circulation in north-eastern Italy. By the twentieth century it had become as popular as Parmesan and Mozzarella, and received P.D.O. status in 1996. Montasio is eaten at different stages of aging, i.e., fresh, demi-vieux (half-old), vieux (old), extravieux (extra-old), and... "ivre" (drink)! Montasio is available as three varieties according to length of aging: "fresco" (fresh; aged for 2 months), "mezzano" (demi-vieux; 5 - 10 months) and “stagionato”(vieux; 10 or more months). Extra-vieux Montasio can be eaten in grated form or in chunks. "Drunk" Montasio is made by aging the cheese in wine lees. The rind becomes deep purple in colour and the taste more pronounced.Montasio is a wholesome cheese which can be used in a wide variety of recipes. Montasio is a relatively well-balanced cheese containing 32 - 34% fat and 24 - 26% protein. It is rich in calcium and vitamin E. As a typical table cheese, Montasio is often eaten as an aperitif or as an entrée, dipped or fried in olive oil, but it is also widely used as an essential ingredient in many local dishes. It is also prepared as a fondue and served as a sauce accompanying meat or fish. To obtain a creamy sauce, small chunks of Montasio mezzano are slowly heated until they melt. Once the cheese has melted, a few tablespoons of Béchamel sauce and a pinch of nutmeg are added. Montasio stagionato is often eaten in chunks at the end of a meal. Average price: between 18 and 25 euros per kilogram, depending on the length of aging. "Vorarlberger Bergkäse" means "cheese from the Vorarlberg mountains". It originally comes from the Vorarlberg region in western Austria. It production zone is located between Lake Constance and Arlberg, on the border with Germany, Switzerland and Lichtenstein. Produced at an altitude of more than 800 metres, it has received P.D.O. status and is available in two varieties depending on length of aging, namely "Original" (6 months)--the most well-known variety, and "Premium" (10 months). Vorarlberger Alpkäse, which is produced using milk from cows put to pasture at an altitude of between 1,200 and 1,700 metres, is also a P.D.O. cheese. It can be aged for up to 18 months. Accompanying wines: Full-bodied wines, such as Pinot blanc ("Weissburgunder"), or light, fruity red wines such as Burgunder or Blaufränkischer (a dark-skinned variety of grape). Tiroler Graukäse is a hard, pressed cheese made from raw cow's milk. It is produced in the northern and eastern parts of the Austrian Tyrol. "Tiroler Graukäse" literally means "Tyrolean grey cheese". It is a firm but pliable ivory-white to pale yellow cheese with a few pea-sized "eyes". A genuine Tiroler Graukäse has the wording "Tiroler Graukäse" printed on the label, and this should not be translated into any other languages. The label should also bear the German P.D.O. logo ("geschütze Ursprungbezeichnung", or the abbreviation "u.G."). Tiroler Graukäse: one of the three Tyrolean essentials? Graukäse contains between 0 and 2% fat! Traditionally, Graukäse is served with a lightly buttered country bread. It can also be marinated with fresh onions and spices in a in a vinaigrette sauce, then served on a "black bread" (bread made from wheat and rye flour), sautéed potatoes or a mixed salad. Last of all it can be enjoyed in soup, or with "Knödel" (a central European dumpling). Accompanying wine: Grüner Veltliner (an Austrian variety of grape), or a bottom-fermented Bavarian or Austrian beer (Märzenbier), or any cold beer of your choice! Gailtaler Almkäse originally comes from the Gailtal valley, which is situated between South Tyrol and Carinthia, the southernmost state in Austria. 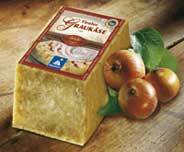 Gaitaler Almkäse literally means "cheese from the pastures of the Gailtal valley". It is made from raw cow's milk, to which goat's milk--no more than 10%-- is sometimes added. A wheel of Gaitaler Almkäse weighs some 35 kilograms. It is yellow in colour and mild in flavour. It is still made according to traditional methods: the cream-free milk from the previous evening's milking is left to stand overnight in pails then mixed with milk from the following morning's milking. Today it is produced in 14 different Alpine pastures. A website entirely devoted to Reblochon! A site devoted to the defence and promotion of the king of Gruyères! Website of the association for the defence of Abondance cheese!